Lil’Cubs have made your life that little bit easier and have added a ZIP to the Lil’ Cubs babygro! No more popper frustration, just a happy baby. Because the prints are unisex the Lil’ Cubs onesie makes a fantastic gift for an expectant mother. 100% premium jersey cotton. Super soft to touch and perfect for babies delicate skin. Machine washable at 30 and line dry. DO NOT TUMBLE DRY. Wash with similar colours.To protect your lil’ cubs planet, and their skin, we only use eco friendly dyes. So a lil’ bit of fading may occur. 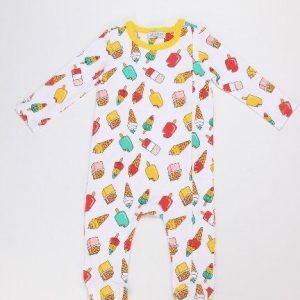 A gorgeous unisex babygro featuring this fab and super summery ice lolly print, with the added benefit of a clever little zip on the right hand side. No more struggling with poppers, meaning a quick change and happy babies. A note from Lil’Cubs: To protect your lil’ cubs planet, and their skin, we only use eco friendly dyes. So a lil’ bit of fading may occur. 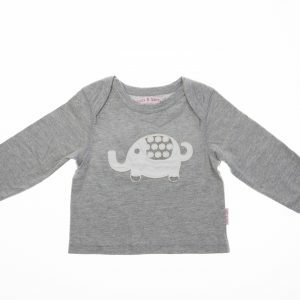 Lucy & Sam gorgeous long sleeve tee with applique detail. Envelope neck to make it easy to get over baby’s head. Perfectly practical for everyday use. 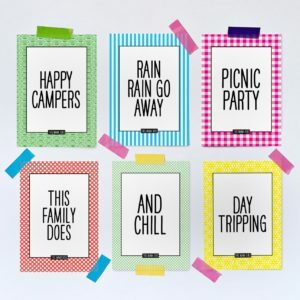 Whether you’re camping or island hopping, on the beach or by the pool, This Mama Does Holiday cards are a fun photo prop for your family pictures. 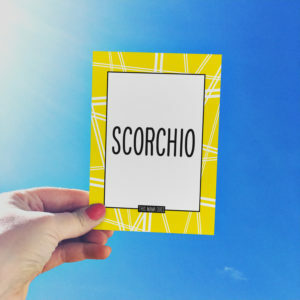 HAPPY HOUR, BEACH LIFE or CABIN FEVER, these cards have got you covered. Beautifully versatile and soft oversized swaddle muslins. These large muslins are ideal for swaddling your baby, sun shade, light blanket, cot sheet, photo backdrop or even just to clean up the Lil’ Cubs mess. 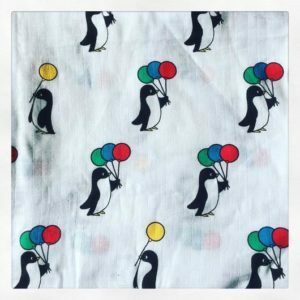 Because the prints are unisex Lil’ Cubs swaddle muslins make fantastic gifts for an expectant mother. 100% breathable cotton muslin. Super soft to touch and perfect for babies delicate skin. 120 x 120 cm. Machine washable. Wash with similar colours. To protect your lil’ cubs planet, and their skin, we only use eco friendly dyes. So a lil’ bit of fading may occur. This beautiful Elephant gift bag comes with the short sleeve Elephant playsuit, stripe knotted hat and essential stripe bib. 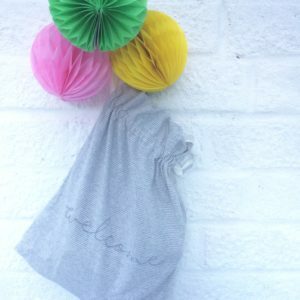 All this wrapped up in a soft grey marl stripe drawstring bag with embroidery sewn in. 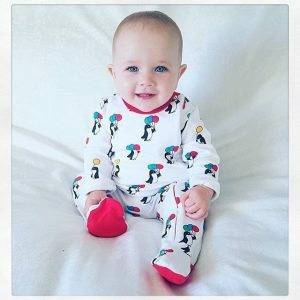 All styles are Unisex, making this bundle the perfect gift for any bundle of joy! 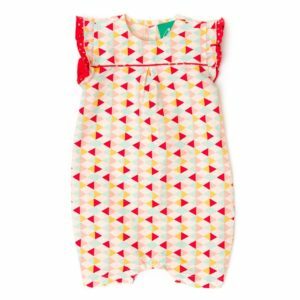 These gorgeous new poplin rompers come in two different prints, both with contrast red polka-dot trim and nickle free poppers. 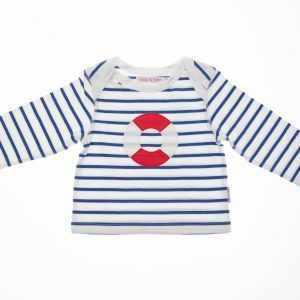 Perfect for Summer babies. 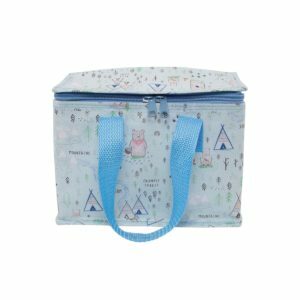 Brilliant for picnic days, beach days, holidays, indoor picnics and all the snacks (!) these fabulous lunch bags make a perfect stocking filler this year. 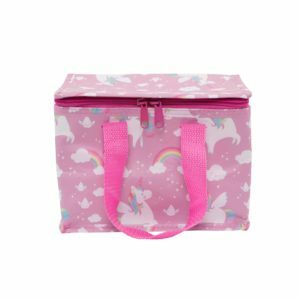 Choose from our beautiful Pink Unicorn design, or the beautifully illustrated Bear Camp. A must have for any teddy bears picnic too. 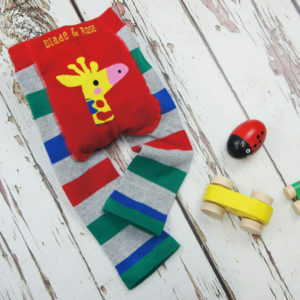 These gorgeous 100% Fairtrade organic cotton leggings are perfect for Summer babies. 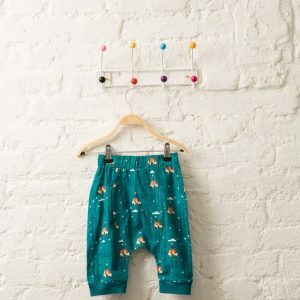 With elasticated waist they will be super comfy, and the cuff bottoms can be rolled up or down, so will last little ones as long as needed. This lovely little Sleepy Owl makes a perfect unisex gift. Lucas is a sleepy fella. 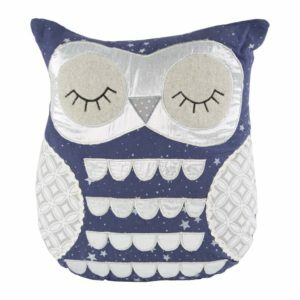 In a gorgeous colour scheme of midnight blue, silver and grey, this cushion is the perfect sleeping companion. Comes with removable hollow fibre inner. Spot clean only. Price includes cushion cover and inner. These fabulous leggings combine modern funky designs with top quality yarn, they are lovely and soft and designed for comfort. Perfect for crawling and climbing babies! 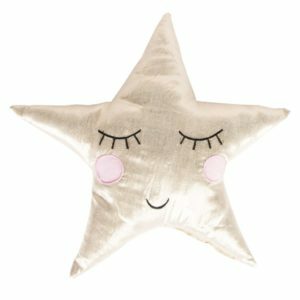 Choose from a range of designs, all wonderfully colourful and cosy.